Washington, DC – (RealEstateRama) — The U.S. Department of Housing and Urban Development (HUD) and the American Institute of Architects (AIA) today announced three model housing developments in California, Missouri, and Washington State as the recipients of the 2017 HUD Secretary’s Housing and Community Design Award. Each of these developments are recognized for excellence in affordable or accessible housing design. Excellence in Affordable Housing Design Award – This award recognizes architecture that demonstrates overall excellence in terms of design in response to both the needs and constraints of affordable housing. Monteverde Senior Apartments in Hayward, CA is a 67-unit community providing much-needed affordable, age-qualified housing. The development is an architectural feat, located on a hillside with more than 17% slope, a 40-foot grade increase – challenging for building a residence for seniors. Its contemporary design melds with the existing structures, working well with the multi-tiered site and meandering paths designed to connect with the surrounding community. A transit-oriented development, the location links residents to BART and downtown Orinda services. The building is also designed with a Green Point Rated score of 150+, with sustainable features including solar hot water and photovoltaic systems. As the first new senior affordable housing development in three decades, all units were leased within weeks of opening, demonstrating the need for affordable senior housing in the area. The community is the first of hopefully many more senior affordable housing opportunities for those most in need. Creating Community Connection Award – This award recognizes projects that incorporate housing within other community amenities for the purpose of either revitalization or planned growth. Plaza Roberto Maestas is a landmark equitable transit-oriented development project in Seattle’s Beacon Hill neighborhood. The project incorporates the community’s vision into a new mixed-use development in a rapidly gentrifying neighborhood. Completed in September 2016, Plaza Roberto Maestas consists of two six-story buildings that flank an outdoor plaza, which opens onto a Festival Street adjacent to a light rail station. Through nearly eight years of planning with the community, El Centro de la Raza transformed a surfacing parking lot into a multicultural hub for the neighborhood that incorporates 112 units of affordable housing, local small business retail and office, community space, and a bilingual child development center. Plaza Roberto Maestas directly addresses the urgent need for affordable housing and economic opportunity in the Beacon Hill neighborhood and is a model for community-inspired transit-oriented development. Community-Informed Design – This award recognizes design that supports physical communities as they rebuild inner city social structures and relationships that may have been weakened by outmigration, disinvestment, and the isolation of inner city areas. Sited on one of the last failed public housing high-rise structures in St. Louis, the Flance Early Learning Center aspires to proactively alter the course of the most impoverished zip code in Missouri. The design process involved meetings with community leaders, volunteers, and private partners to address the needs of children and the neighborhood. The program’s instruction, daycare, nutrition education, and integrated wellness center for 164 children of mixed-incomes is unique among other childcare centers. The massing of the center provides an abstracted, organic-formed facade which creates a shaded interstitial porch for each classroom’s outdoor access. Like dappling light through a tree canopy, perforated metal filters the light, shading the south and west-facing glass, contributing to the facility’s pending LEED® certification. A sophisticated yet playful palate fills the interior with light and energy, allowing the building to remain a canvas for learning and creating. 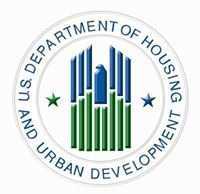 The Department of Housing and Urban Development is hoping to find roughly $15 million to renew 170 contracts with private building owners who rent to poor Americans.